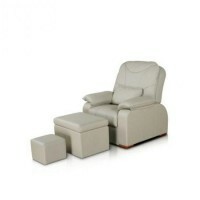 Screen Nobu Beauty 3 sectional, buy at the price of 193 in Europe. Screen, made of quality materials, will be a real helper for you. Just a couple of moves and it fence off the area required for a beautician quickly. 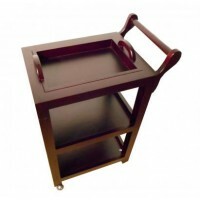 The presented furniture is not only fit your new beauty salon, but will serve you for years perfectly. Remember that when other furniture will "fail", this screen will intact. Small care is required - you should wipe the screen with cloth. 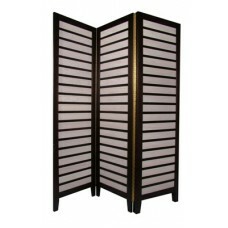 In addition, screen can withstand unwanted moisture in the office perfectly, which some procedures suggest. Varnish applied in several layers, and the wood, from which the screen is made, is hard and durable (oak). This screen can serve you as an attribute of "elites" and "luxury" of your beauty parlor. After all, not every beautician can boast of quality cosmetic furniture! Moreover, on our website, you can buy it at the best price in Europe.